How To Teach First Aid To Children? 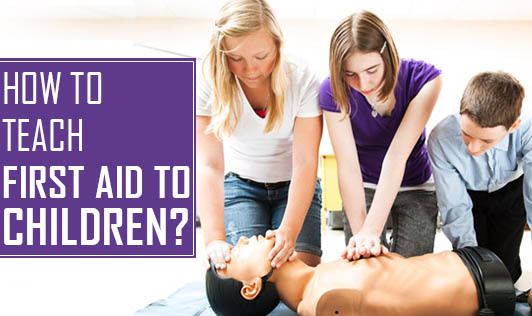 • Explain to your child why first aid is important. Make It a fun activity so that your child can enjoy and learn more efficiently. • Watch videos about first aid with your child. Explain to them the parts of the body and encourage them to ask questions. • Show them a first aid kit and tell them what each item is and what it's used for. • Write down a manual on first aid basics. Write it in simple language for your kids to understand. You could even draw pictures. Keep the manual easily accessible. • Give your relatives' and neighbors' numbers to your child. In case of an emergency, it may come to use, if your number is not reachable. Also, inform a neighbor/relative if you have to leave your child alone at home.